There are lots of reasons people choose to downsize their home. It could be to release equity, to simply make the day-to-day upkeep more manageable, or it could be a move to a retirement community. Whatever the reason, moving home is stressful at the best of times and downsizing can be even more so. 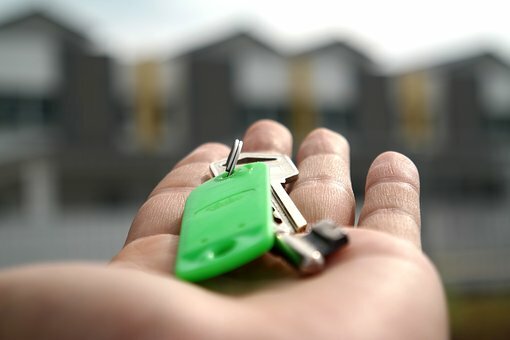 Reducing long-owned possessions to fit in to a smaller home requires a lot of careful soul-searching and organisation, and can require some tough decisions to be made on which items to keep and those that just have to go. 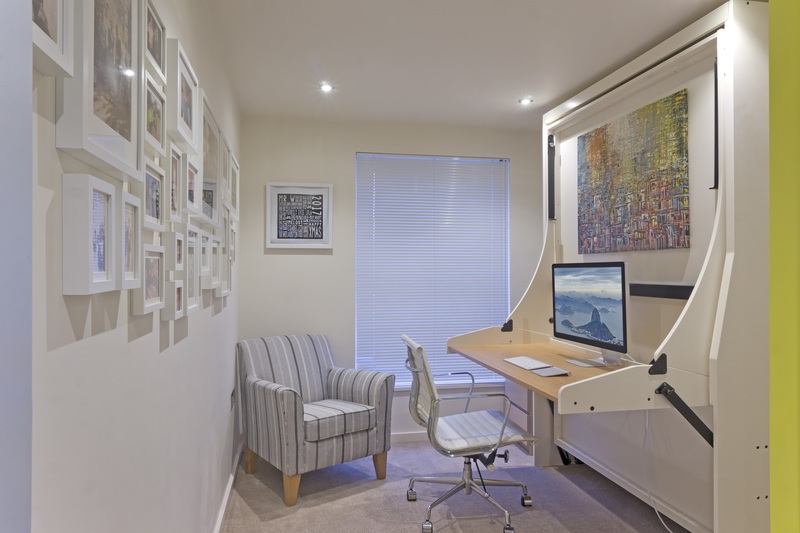 Reduced living space can take some getting used to too – luxuries such as an office, craft room or a guest bedroom may have to go, as well as adjusting to a more compact kitchen or living room. 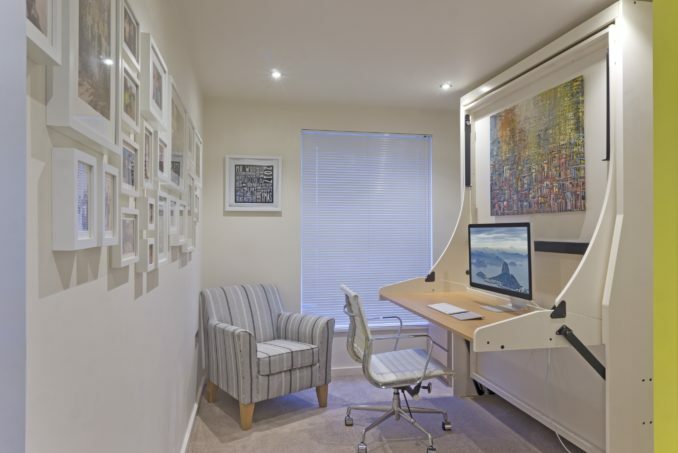 It doesn’t have to be all doom and gloom though – these days there are many clever solutions and space-saving ideas out there that help to make the most of all the available space and really could make the downsizing process a little easier. Flexible living spaces that serve more than one purpose are a great way to facilitate the transition to a smaller home or retirement flat. Built-in storage and movable fixtures can add flexibility to a room and allow it to evolve as required. However, one of the simplest and most cost-effective methods for creating a flexible space is with the use of multi-functional furniture. The same room can be used for two different functions even if it would otherwise be too small. 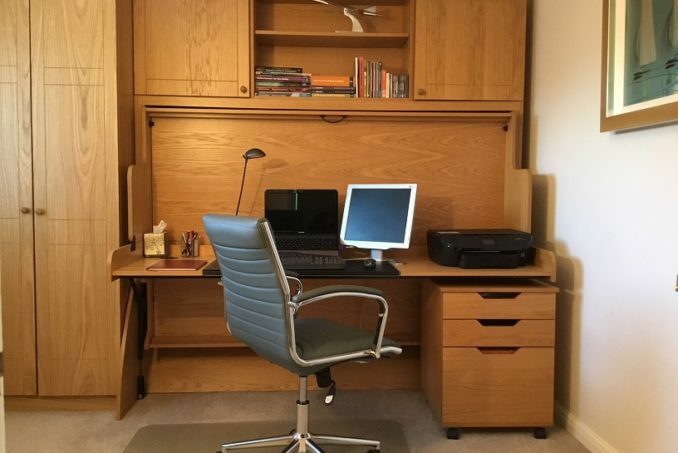 A StudyBed is a great example of multi-purpose furniture. 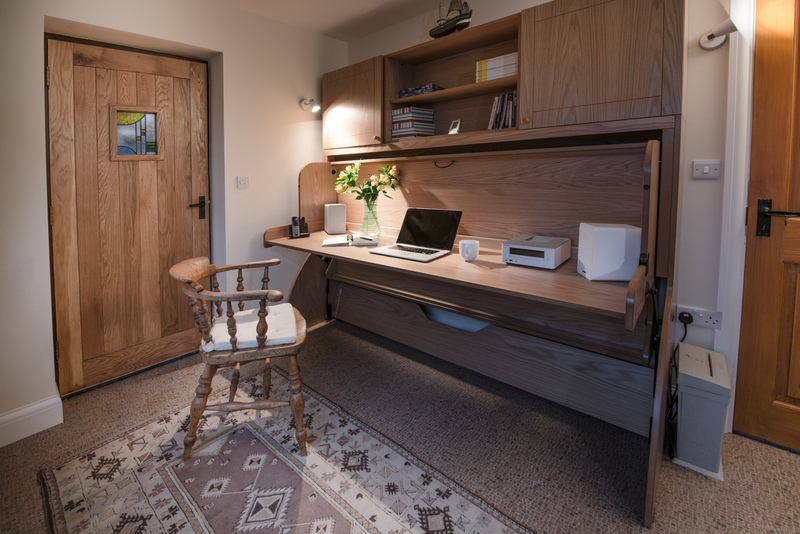 As an innovative dual-purpose piece of furniture that combines a huge desk and a normal bed all within the same compact footprint StudyBeds are perfect for downsizing. 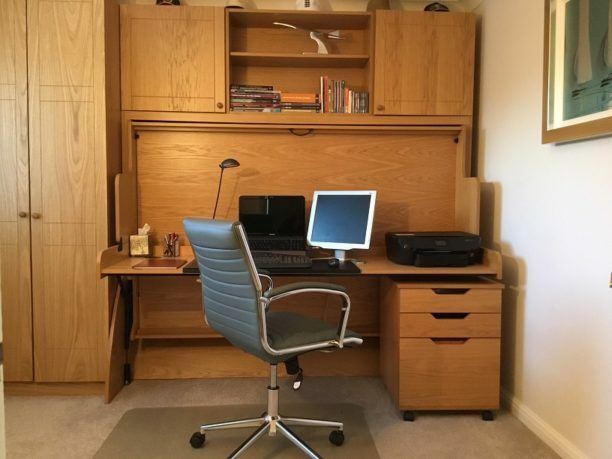 Installing a StudyBed in a second bedroom means that one modest sized room can become a functional office or craft room AND a comfortable guest bedroom at the same time – one less compromise to make. A two-bedroom apartment can suddenly feel like its got three! A StudyBed easily converts from a desk to a bed in just 3 seconds as there is no need to remove anything from the desk or the bed. Any computers and work can be left intact and instantly a fully made-up, ready to go, bed can be produced. 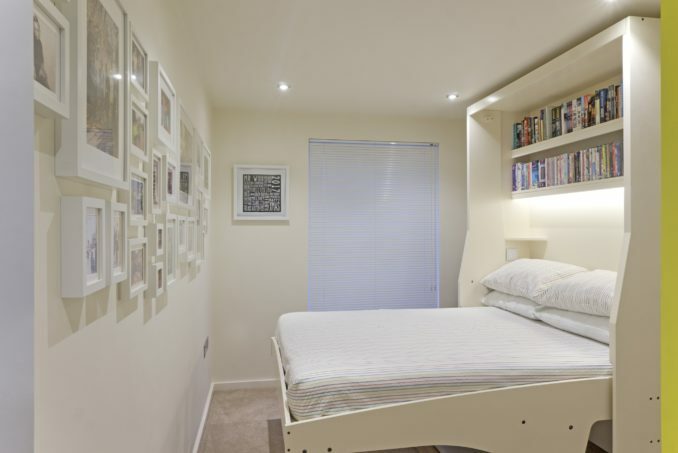 There is no ‘dead space’ with a StudyBed – the bed is totally hidden against the wall when in desk mode and the desk sits neatly underneath the bed when in bed mode resulting in significantly more usable floor space in the room. The matching under-desk units and top box available provide invaluable in-built storage too making the most the often-under-utilized vertical space. 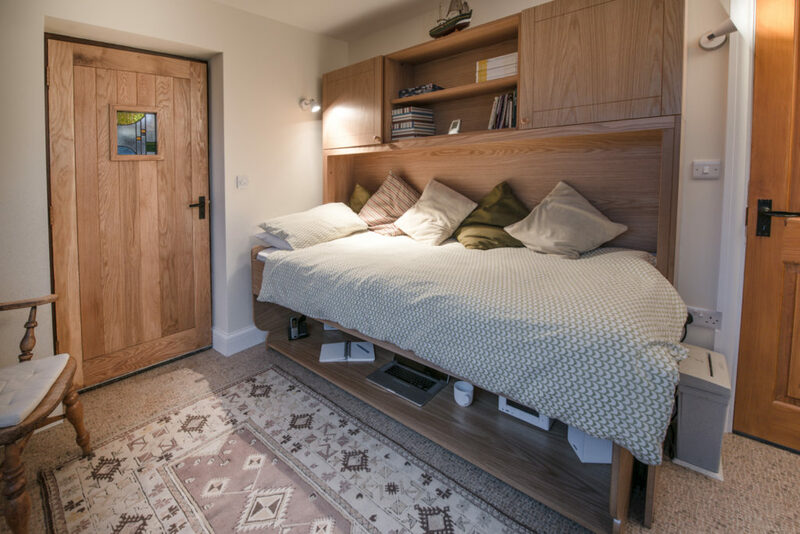 With over 8,000 units sold, StudyBeds have helped countless people up and down the country with their downsizing projects. If you’re planning on downsizing or perhaps have recently already moved to smaller home and are struggling with the adjustment then a StudyBed could be the answer you’ve been looking for. 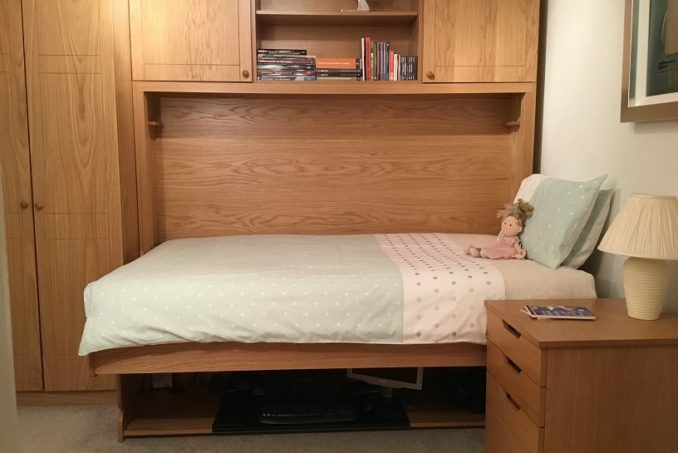 More information can be found here or, if you would prefer, the friendly team at StudyBed can offer free advice including room planning and a no obligation quote. Please call 01844 214484 or email enquiries@studybed.co.uk.